After the U.S. House of Representatives passed the Pain-Capable Unborn Child Protection Act on Tuesday, the Senate introduced its companion bill. Senate Bill 1922, also called the Pain-Capable Unborn Child Protection Act, would ban abortion after the fifth month of pregnancy. Senators James Lankford (R-OK), Lindsey Graham (R-SC), and Joni Ernst (R-IA) announced the bill in a press conference on October 5th. During the press conference, the senators noted that United States abortion law is on par with North Korea and China, a position not worthy of aspiration when it comes to abortion or many other human rights issues. The United States is one of only seven countries, including North Korea, that allows abortion at five months of pregnancy. I applaud the House for passing this bill; it is now time for the Senate to act on this. There are children alive, healthy, and growing today who were born prematurely at five months pregnancy. We should not allow elective abortions past five months of pregnancy, especially when science shows that unborn babies feel pain at this stage. The other six are North Korea, China, Vietnam, Singapore, Canada, and the Netherlands. According to a January poll, a majority of Americans support banning abortions after five months of pregnancy. Similar legislation has passed in 20 states, including Oklahoma. At five months gestational age, babies have 10 fingers and 10 toes, they can yawn, stretch, make faces – and they can feel pain. It’s unconscionable that the United States is currently one of only 7 countries in the world that allows abortions after five months; we are currently in the same company of China and North Korea. 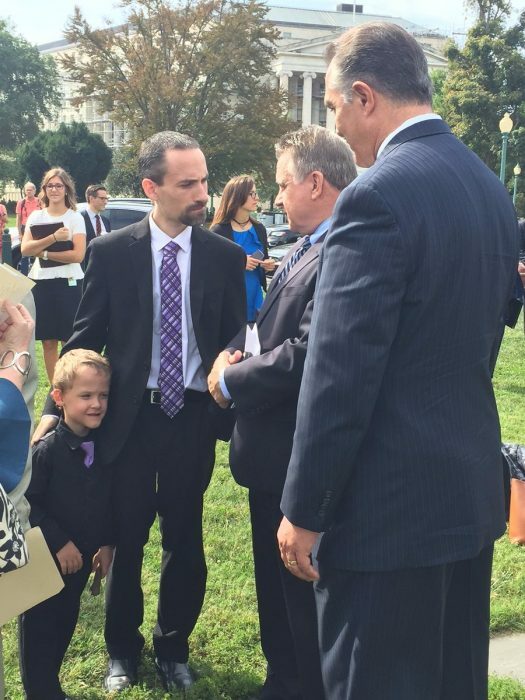 I’m fighting for this legislation in honor of my friend and fellow Iowan, Micah Pickering, an incredible 5-year-old who was born prematurely, at five months gestation. This legislation could protect up to 10,000 lives like Micah’s every year by preventing abortions after about 5 months of development, and it is absolutely critical that the Senate take up this legislation to protect our most vulnerable. Medical practice dictates that anesthesia is administered directly to an unborn child in second-trimester fetal surgery. At the age of 20 weeks post-fertilization, scientific research tells us an unborn child experiences significant nerve development and can feel pain. The unborn child shows physical, chemical, brain and stress responses demonstrating pain at this stage of development. Advances in modern medicine help babies born at 20, 21 and 22 weeks post-fertilization survive outside the womb. Ultrasounds show unborn babies at 20 weeks sucking their thumb, yawning, stretching and making faces. A NIH-funded study of infants delivered at 20-22 weeks post-fertilization and who received active treatment observes increasing rates of survival without any neurological impairment. Yet, three-fourths of those delivered at 20 weeks post-fertilization still received no active care. The act has another purpose, Lankford said, in that it would dictate that a baby born from a botched abortion would receive medical attention. He said that while some debate if a baby is a baby inside the womb, there’s no debate that the baby is alive outside the womb, and this law will simply provide medical care to a human being, just as any living person should be entitled to. Embryological studies show that at 20 weeks, babies have developed pain mechanisms: The nervous system develops as early as six weeks; the first sensory receptors for pain by seven weeks; and nerve synapses by eight weeks. Connections between the spinal cord and the thalamus—which function for pain perception—are almost complete at 20 weeks. Brain scans also indicate fetal response to pain. In fact, studies suggest that the younger the infant, the more intensely they can feel pain. Scientists have noted that the earlier a premature infant is born, the more pain-sensitive they are, since they have yet to develop pain inhibitors, which occurs at 34 to 36 weeks of gestation. This makes unborn, preterm, and premature babies like Micah hypersensitive to pain. This science forces the uncomfortable but necessary question of whether babies are feeling pain far earlier than 20 weeks, as some studies have indicated. Roe v. Wade legalized abortion until the point of viability. Scientifically, a baby is viable at five months. Just ask Micah Pickering, who may have made his appearance a few months early, but is now a thriving little boy who no one would argue is not worthy of life. With this bill, the senators hope to show that every child deserves the same chance Micah was given.